This 20cl version is an opportunity to discover the depth of this flavoursome whisky. Single Malt Jura Prophecy is presented in a 20cl bottle that possesses the same peatiness and saltiness than its elders. Un-chillfiltered, this whisky reveals heavily peated flavours, fresh cinnamon and refreshing spindrift. 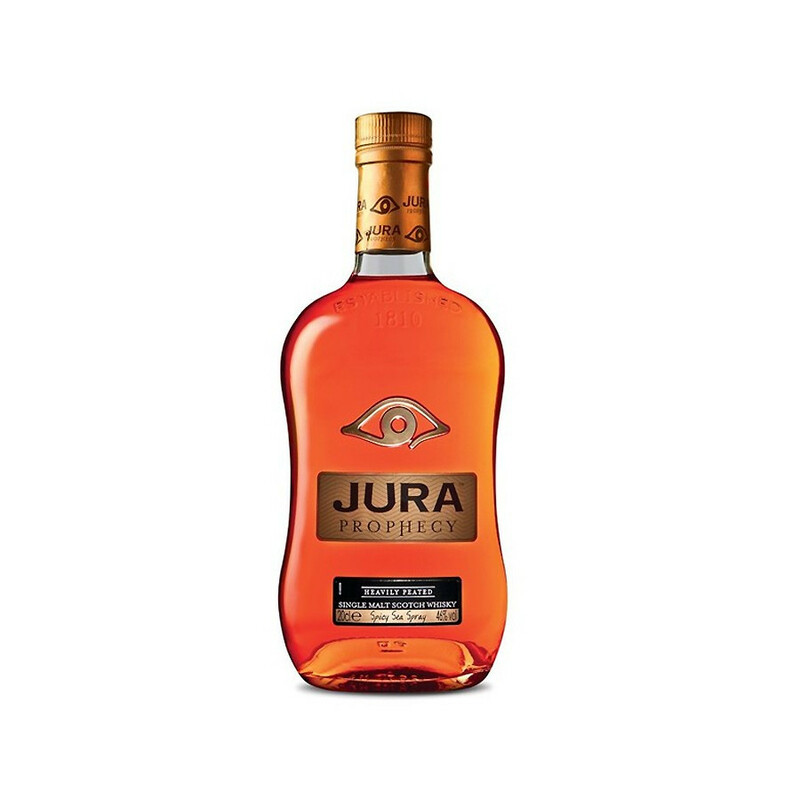 This whisky is aged in French Limousin oak casks. Colour: old gold with copper and orange glints. Nose: clean, subtle. Smoky, fresh fruits and chocolate, mineral and husky. Palate: firm and rather dry. An intense smoke puff intertwined with fruity notes and praline. Finish: of great length, lasting on notes of chestnut and dried mushrooms.